Camdi Restaurant is your local, family owned restaurant in Minneapolis, MN (Dinkytown). One of the oldest eateries in the area, our quaint little restaurant serves a combination of authentic Chinese/Vietnamese dishes and have a variety of vegan and vegetarian options too! Stop by and say hi to Camdi & kiet! What they're saying on yelp! 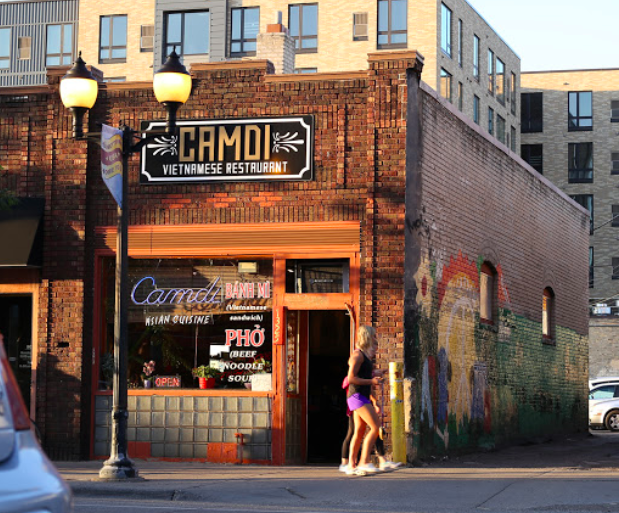 One of the oldest and well-known eateries in all of Dinkytown, Camdi Restaurant has been a fixture in the heart of the U of M’s entertainment district for more than 35 years. Camdi and Kiet Phan, both of Chinese descent, escaped Vietnam shortly after the infamous Vietnam was seized by communists. They escaped by boat and eventually settled in Minnesota. They brought home-style authentic Vietnamese and Chinese recipes with them. Camdi has also recently added a vegan/vegetarian menu. Camdi Restaurant is family-owned and family run. You’ll see Camdi herself in the kitchen all day, every day with her husband Kiet manning the tables and the register and maybe a daughter or two to help out. Over the years, her recipes have become favorites and regulars have become friends. See the art around the restaurant? All of it was painted by hand by Camdi in her free time. She donates proceeds from her art sales to local charities. Come in, enjoy the food and art!